One advantage of working at the School is the opportunity to learn all about North Carolina, including all of the great local food. I will return to reporting on my meetings with city and county managers in a future post. For now, however, I want to mention a couple of food discoveries for your future reference. This is important stuff. Zuma Coffee in Marshall is terrific. The Madison County Manager, Steve Garrison, encouraged me to stop and try the Zuma Gold before leaving town. It is an intense and wonderful chocolate cookie. It has a soft espresso filling and it just melts in your mouth (but not in your hand). I also felt obligated to try their peanut butter cookie because it is my absolute favorite cookie. My grandmother used to make peanut butter cookies that were the best in the world. Zuma comes in a close second. 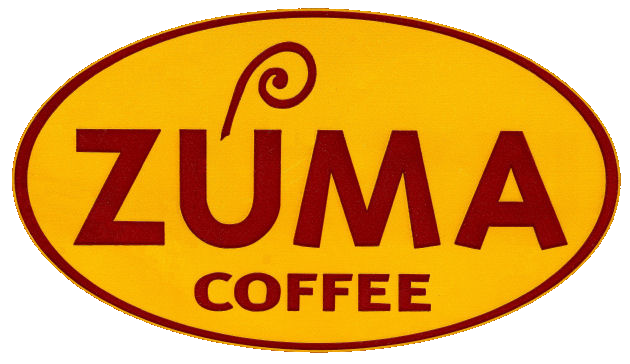 Zuma Coffee is a great find and I encourage you to check it out. I recommend driving north out of Asheville on the two-lane road that follows the French Broad River all the way to downtown Marshall. It is a beautiful drive (not much longer and much less traffic than the four-lane highway) and there will be a cookie at the end as a reward. Over Easy is a tiny place with a friendly staff just up the street from the Mellow Mushroom on Broadway. I have only ordered the pancakes, but I have sampled my son’s biscuits and gravy on occasion. They are the best looking biscuits I’ve ever seen, and they are tasty too. I was talking with the owner on an earlier visit and she told me that she could only remember one complaint about their food. A young couple had hardly touched their biscuits and she asked if something was wrong. The man answered that they didn’t care for the biscuits because “they tasted homemade.” The owner looked at me and said, “They were from Florida.” Say no more. Have breakfast at Over Easy the next time you are in Asheville, and then follow the French Broad to Marshall for coffee and cookies later in the day. Audrey and I stumbled upon Over Easy a few years ago while at a conference in Asheville. We immediately fell in love with it. We realized that it must have been a great place to eat when each time we went, we ran into the Chief District Court Judge from Asheville. He’s since retired but says he still gets coffee and breakfast there at least once a week!